One of my lifelong dreams has finally come true in the release of the truth behind the fake-creation of today’s Israel. Of course, the reality of this is still far from being enacted upon the global stage. That can only begin when Merkel is forced out of office in Germany, by the German people, so that the hideous global blackmail of millions of people is finally lifted. That will become clear when the illegal “reparations” are finally abolished and those who received all those billions of Dollars, Marks and Shekels in “payment”, over the now 70-plus years of the global-lie, which paved the way for the rise of an Israel that has never existed in reality. This lie however is far larger than just the financial con-job of making martyrs of Jews that did not suffer the treatment which the Khazarian Supremacy “created”, in their own conspiracy: Throughout the way their lies were planted in their end-game after the release of the photos of the dead prisoner-inmates in Germany in 1944. 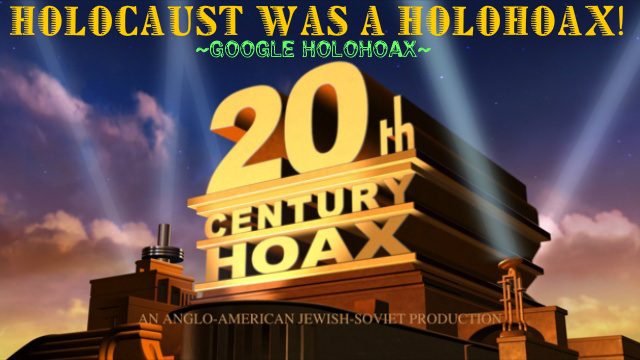 It was this “lie” that created the entire construct of the non-existent anti-Semitism that has absolutely nothing to do with the supposed survivors of the Fake-Holocaust which Hollywood and the Khazarian Supremacy created. This is what gave the world this singular global-lie that has lasted now for just over seventy years. With the end of Khazarian Supremacy and Israel as that open cesspool is configured today ­ the freedom and health of mankind, worldwide, can finally begin to rise again. 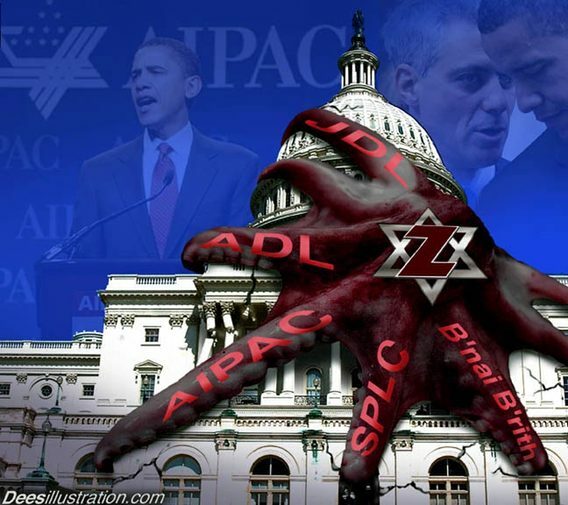 This is mandatory, for anyone that wants to ever have a future: Because the third phase of the Khazarian Supremacy is and always was the total elimination of the white race from the entire global-population ­ all of these crimes and their now transparent goals can be easily seen within the two videos in the article cited above. All that remains is for people everywhere to demand the end of the illegal Jewish Organizations planet-wide, along with the closure of all the Holocaust Museums ­ Germany needs to lead the way here by forcing Merkel out and by finally ending the entire lie that has always been what this fake Global-Holocaust has always been about. Hollywood’s owners also need to face their share of all the lies they so knowingly spread over the last 70 plus years, to keep this mega-lie alive! Because clearly Hollywood’s traitors are guilty of “Aiding and Abetting this global crime during and after the fact of its global-commission. Long live the truth that will be forced to come from this long delayed series of global-revelations.